What is Medical Malpractice? And some examples that happened in Ireland. Have you suffered an injury while receiving treatment under the care of a medical professional: doctor, dentist, nurse etc? You may have suffered a medical malpractice incident. But, this does not mean that all injuries caused by medical practitioners are a result of malpractice, it refers to injuries that are caused when a trained professional doesn’t execute his duties correctly. This commonly happens if a medical practitioner breaches his duty of care to the patient, or does not practice at an expected standard of care. In other words, if the medical practitioner had adhered to a duty of care, then the injury would not have occurred. You might also come across another term medical negligence. For the most part, medical malpractice and medical negligence (as terms) can be used interchangeably but there is a subtle difference… . (that is useful to know to help determine the type of legal case you have). The difference is usually in the situations; medical malpractice usually relates to misconduct of a medical person performing as a professional e.g a dentist operating a tooth extraction, or a cosmetic surgeon performing a liposuction procedure. Misconduct is measured against the medical council guidelines. Medical negligence arises from situations when your injury is caused by mistreatment or lack of treatment by a capable person: for example, if a patient is taken to the hospital with a broken leg but is given medication to treat a stomach ulcer then collapses as a result of side effects from the medication — this would be medical negligence by the doctor that assessed the patient, prescribed the medication, and the staff that administered the drugs without checking. But, it must be noted that not all medical negligence acts result in an injury, and there may be many people involved in the negligent act. If there is an injury, a good personal injury solicitor will determine who is to blame. Recently, we saw medical negligence on a large scale in the CervicalCheck scandal. The State Claims Agency (SCA) dealt with at least 31 cases of cancer misdiagnosis related to the national cervical screening programme. Misdiagnosis or failure to diagnose a condition; this is one of the more common medical malpractice claims. And, cancer is the condition most often misdiagnosed. You will often see these cases reported in the media. This was the source of the most costly payouts by the state in 2018: €158m was paid to victims of cancer misdiagnosis malpractice (payouts spiked by the CervicalCheck scandal). Childbirth injuries. During delivery of a child, sometimes, sadly, things can go wrong. And, a lifelong serious injury for the child can result. One such instance is a condition called Cerebral Palsy, this condition prevents the child’s brain developing normally, and is caused by a lack of oxygen during the birthing process. Compensation in these cases are significantly large, deservedly so, to help with costs of lifetime care. Dental Malpractice cases are on the rise in Ireland, assumingly due to more people now visiting dentists, and demand for cosmetic procedures. One woman in Dublin was awarded €255,000 after she was left in excruciating pain from fitted braces that she did not require. Anaesthesia errors. A scary prospect is accidentally awaking during a surgery. Thankfully, this is a very rare occurrence; approximately 1 out of every 19,000 surgeries in Ireland and the UK. Surgical error. From time to time, reports come in of medical-surgical error. Typical examples of these errors are incorrect body parts marked for surgery, or, objects (such as swabs) left in the body after surgery. Cosmetic surgery malpractice. One cosmetic surgery clinic in Dublin faced dozens of legal actions for a variety of surgical errors and malpractices — one woman died of a gastric band operation that went wrong. The surgery, Advanced Cosmetic Surgery (ACS) Ltd., has since been wound up and sold. The above is not an exhaustive list of medical malpractice situations, so if you think you may have been a victim of medical malpractice you should speak to a medical negligence solicitor. The Medical Council Of Ireland set out guidelines for the expected duty of care of patients. Medical malpractice does not have to be intentional and in most cases, it’s not. Human error happens, and one issue in the medical field that can contribute to patient error is burnout. In 2017, the RCPI National Study of Wellbeing of Hospital Doctors in Ireland claimed that 1 in 3 doctors experienced burnout to some degree in their profession: long working hours and shift work patterns causes safety complications. But, there could also be a general incompetency of the practitioner that caused the injury. Sometimes, this is seen in cosmetic and teeth whitening clinics, where staff might claim to be cosmetic surgeons but don’t actually hold that specialised qualification. The patient must be able to prove that his/her injury was a result of a breach of ‘duty of care’ by the doctor: the injury would not have happened if there was no negligence. The injury caused the patient to suffer damages: financial or distress, or both. The injury claim must be initiated within two years of occurrence. In 2018, there was a proposal put forward to extend this to three years. In Ireland when a case of medical negligence* results in injury or illness, or the deterioration of an existing condition, you are entitled to claim compensation. 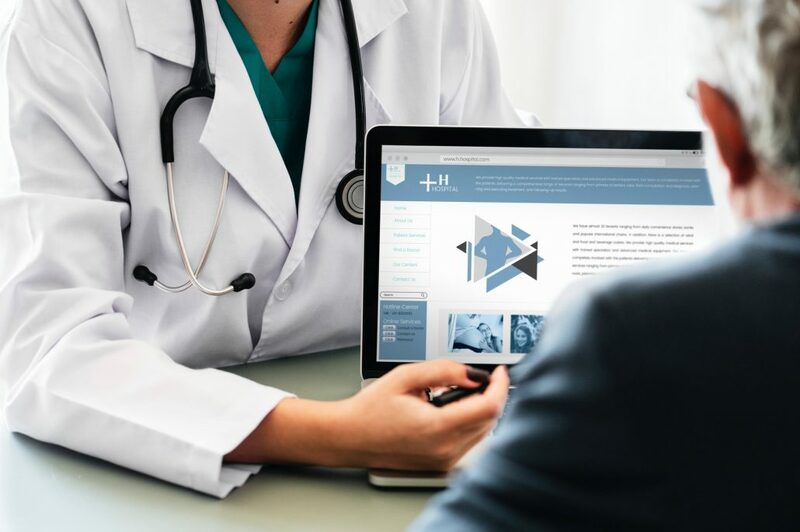 So, If you’ve been treated in a medical situation and something has gone wrong; you should contact a specialised medical negligence solicitor who will assess whether you have an actionable case. https://www.gibsonandassociates.ie/wp-content/uploads/2019/01/Medical-Malpractice.jpeg 1500 2256 Katrina https://www.gibsonandassociates.ie//wp-content/uploads/2017/08/logo.png Katrina2019-01-29 11:21:212019-04-05 15:58:04What is Medical Malpractice? And some examples that happened in Ireland. What to do if your personal information has been compromised. I had a fall at work can I claim for personal injuries*?